The Best Children’s Book Ever! I guess this picture gives it away. As much as I despise moving, some good things can come from it. I can throw away junk that has accumulated over the years. I can donate stuff that might have value to other people. Sometimes I even find books that I forgot that I had. The best is finding a book that I knew I had but couldn’t find for a long time. And yesterday, I found my old copy of the best children’s book ever, Uncle Shelby’s A, B, Z Book by Shel Silverstein. It might be arrogant for one person to determine the BEST EVER of anything, including children’s books. After all, nobody has read every children’s book ever, so saying that one book is the best children’s book ever is ridiculous. I haven’t read every children’s book ever. I admit that. But I’m pretty sure I know what the best children’s book ever is. Out of all the genres out there, children’s books should be the easiest to determine best ever status. Children’s books are shorter than any other kind of book, so reading all of them would be a lot easier than reading every book in another genre. Reading every children’s book ever would be easier than reading, for example, every mystery ever written. That could take a while, even for a speed reader (which I’m not). One problem with children’s books is that celebrities think they can write them. From what I know about celebrities and how they live their lives (I’m not a celebrity), the last thing I want most of them to do is write a book aimed at children. Maybe celebrities think writing children’s books is easy because they think they only need to write short sentences and then hire an illustrator. How difficult could that be? But a great children’s book has to appeal to both adults and children. Unfortunately, most children’s books put me to sleep. But I’ve never fallen asleep reading Uncle Shelby’s A, B, Z Book. 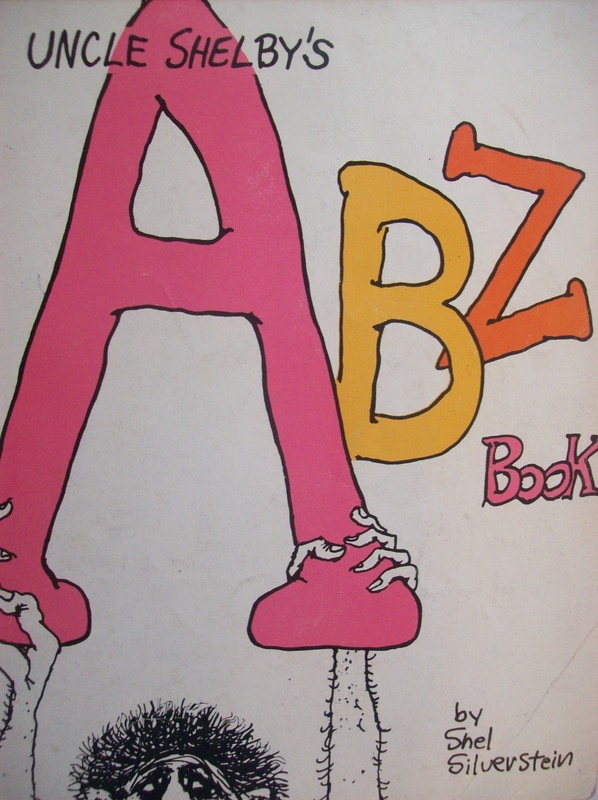 Uncle Shelby’s A, B, Z Book is different from Shel Silverstein’s other, more popular books. He’s known for children’s poetry books like Where the Sidewalk Ends and The Giving Tree. They’re nice books. They’re creative and imaginative. Uncle Shelby’s A, B, Z Book is a bit different. In fact, if you look up Shel Silverstein books on Amazon, Uncle Shelby’s A, B, Z Book isn’t on the first page. It wasn’t even on the first three pages. Considering that there were 67 pages of Shel Silverstein and I’m still in the middle of unpacking, I stopped looking at page 3 and typed in the title directly. If Uncle Shelby’s A, B, Z Book wasn’t written for kids, then why are all these kids on the back cover? Some people claim that Uncle Shelby’s A, B, Z Book isn’t really for kids. The new book cover for it on Amazon now has a blurb that says “Primer for Adults Only.” What the heck? I read this book when I was a kid. My daughters read this book, and they’re still kids. There’s no profanity. There are no body parts. Even the farmer’s daughter joke is tame. This warning just shows how inconsistent we’ve come with our standards. A book like Uncle Shelby’s A, B, Z Book gets a warning label while kids networks like Disney and Nick have a bunch of minors telling double entendres and wearing inappropriate clothes. Maybe Uncle Shelby’s A, B, Z Book wasn’t really written for kids, but I’m not sure about that. The best children’s shows/movies, books are the ones that adults can enjoy as well. That’s why Dr. Seuss books are so popular; adults love reading them aloud almost as much as kids do. When I found Uncle Shelby’s A, B, Z Book, I excitedly showed my kids (I think my monotone voice went up a couple octaves), and my daughters read the whole thing in one sitting, though my oldest checked a couple texts at the same time. My youngest didn’t understand the joke about the traveling salesman and the farmer’s daughter, but she knew it was supposed to be funny, so she laughed anyway. That’s the sign of a good book. A couple years ago, some people claimed that Go The F*ck to Sleep was the best children’s book ever. First of all, a children’s book should never have the word “F*ck” in the title, even if the children’s book is for adults. Putting profanity in any book title is cheating. It’s a cheap ploy to sell books. It’s almost a sign of desperation. Even though Samuel Jackson read the audio version of Go The F*ck to Sleep, it still isn’t the best children’s book ever. A book shouldn’t need Samuel Jackson to read it. I could read Uncle Shelby’s A,B, Z Book (I have a monotone voice), and it would still kick Go The F*ck To Sleep’s *ss because Uncle Shelby’s A, B, Z Book is much better than Go The F*ck To Sleep. The problem with calling a book the best book ever is that now I’ve set the expectations too high. Even if you read Uncle Shelby’s A, B, Z Book and think it’s pretty good, you might think that it’s not the best ever, and my blogging hyperbole could ruin the whole reading experience. I’m not against hyperbole, but I think it should be used sparingly. Uncle Shelby’s A, B, Z Book deserves a little hyperbole. In fact, I think it should be re-released as if it had never come out before. It should get lots and lots of hype, as if it were an old unpublished Shel Silverstein that had just been found. Then it would get the attention that it deserves. But enough about me! What’s your favorite children’s book? Should celebrities get banned from writing children’s books? Is putting profanity in a book title a sign of desperation? Shel is the shazam. My favorites were the Peter Rabbit books. “Shel is the shazam.” I like that. Excellent use of alliteration, hyperbole, and truth. Can’t say I’ve ever heard of Shel Silverstein. But then the only English books in our house were the ones I lugged home from the library, and by that point I wasn’t reading children’s books anymore. You won’t know any of the children’s books I owned (though some of them were probably translations of British and American children’s books). I don’t think celebrities should write, period. The ability to act, or sing, or be famous (cause, you know, there are some of them who are famous simply because they’re famous) does not automatically mean the ability to write. And let’s be honest, most of them can’t even do the first one properly. What do you think about reading the original Grimm’s Fairy Tales to kids? We read the occasional Grimm’s Fairy Tale and then laugh at the violence. When I was in elementary school everyone fought to check out the Shel Silverstein poetry books. I have never heard of this book – hence your point. My favorite children books are Dr. Seuss my dad used to have them all sent to our mail box I’ve read them all. It’s tough to find a Shel Silverstein book (or Dr. Seuss book) that still looks pristine because they still get read so much. I still can’t say Bottle Beetles Battle something something without messing it up. Love Shel. I read The Giving Tree with a lump in my throat every time. His author photo scares the kids though, so I try not to flip the book over. I just tell them he looks like a pirate. Have you had this problem? 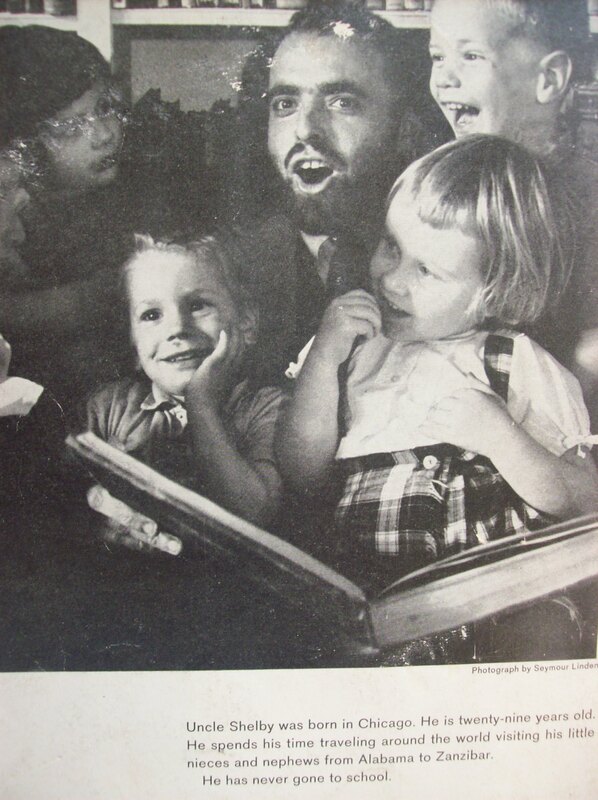 One of the Diary of a Wimpy Kid books had a section where the kid gets freaked out by Shel Silverstein photographs. It was kind of funny. 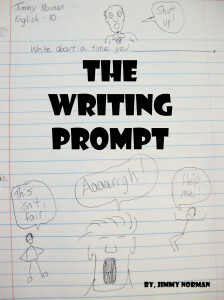 It helped me introduce my kids to Shel Silverstein (I was a little late doing that. I should have had them read Shel Silverstein before Diary of a Wimpy Kid books. I take full responsibility). Not that you mention it, I do remember something about that. Well, at least some good came out of it. I’m sure a lot of kids who hadn’t heard of him picked up one his books after that movie. Comic books are great. Most comic books are better than most children’s books (depending on how you define “most” and “better”). Stan Lee is an underestimated literary genius of our time. Since I’m of the older generation, the OZ books by Frank Baum were my favorite as a kid. My favorite kid’s book as an adult is Shel Silverstein’s “The Giving Tree”. Profanity in a title of a kid’s book is uncalled for, I think, nor does it belong inside the kids’ book. As I said I’m from the older generation. To be fair, Go The F*ck To Sleep was marketed as a parody adult book, but it looks like a children’s book, and supposedly some people accidentally bought it, thinking it was a children’s book, but I have no real proof of that and am skeptical. How can somebody miss the word “F*ck” on the cover of a book? My childhood favorite is “Fifty Famous Fairy Tales”, many of them adapted from Grimm but some that I have never seen anywhere else. I still have the book (worse for wear though it may be). Before I could read, I would con any available adult into reading for me. I agree with every word of this. I like Samuel L. Jackson, but I don’t think he did a very good job of reading that book. However, you didn’t directly say he did, so I think my first sentence stands. My favorite children’s book is Lizard Music by Daniel Pinkwater. Celebrities should be punished for writing children’s books. Putting profanity in a book title is a sign of lots of undesirable things, desperation being just one of them. I’m very low-brow – I like the “Sheep in a Jeep” books. The rhymes make me smile.